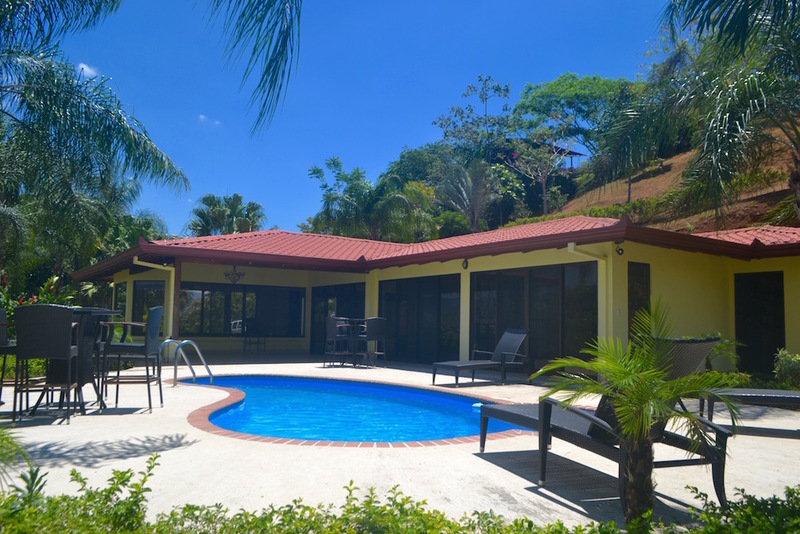 Beautiful new 3 bedroom, 2.5 bath pool home located in Roca Verde, just minutes from downtown Atenas. This home features large open living areas, kitchen with solid wood cabinets, granite countertops, large master suite, front terrance overlooking the swimming pool and views of San Jose and the Central Valley. This home is a great value for only $375,000.00. Beautiful new 3 bedroom, 3.5 bath pool home located in Roca Verde, just minutes from downtown Atenas. This home features large open living areas, huge, open kitchen with solid wood cabinets, granite countertops, large master suite, front terrance overlooking the swimming pool and views of San Jose and the Central Valley. This home is a great value for only $395,000.00. 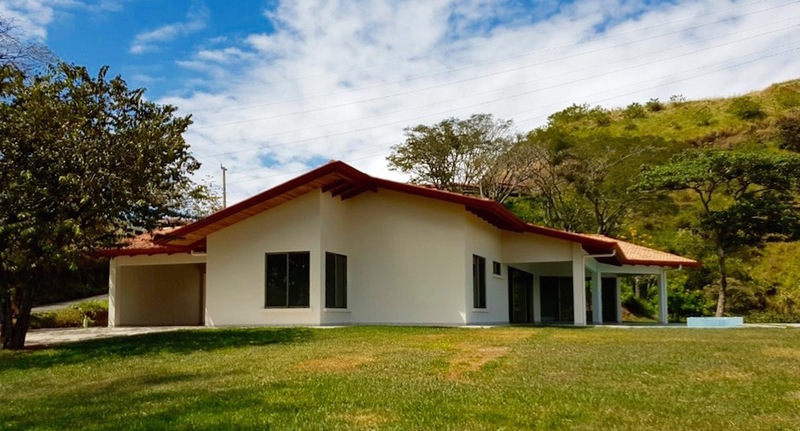 This beautifully designed, custom two bedroom, two bath home is located just 10 minutes from downtown Atenas in a small boutique community of only 10 properties. Some of the many features of this home include: large open living spaces with an eat-in kitchen, two spacious bedroom suits, with the main master offering a walk-in closet, double vanities, and a double shower. 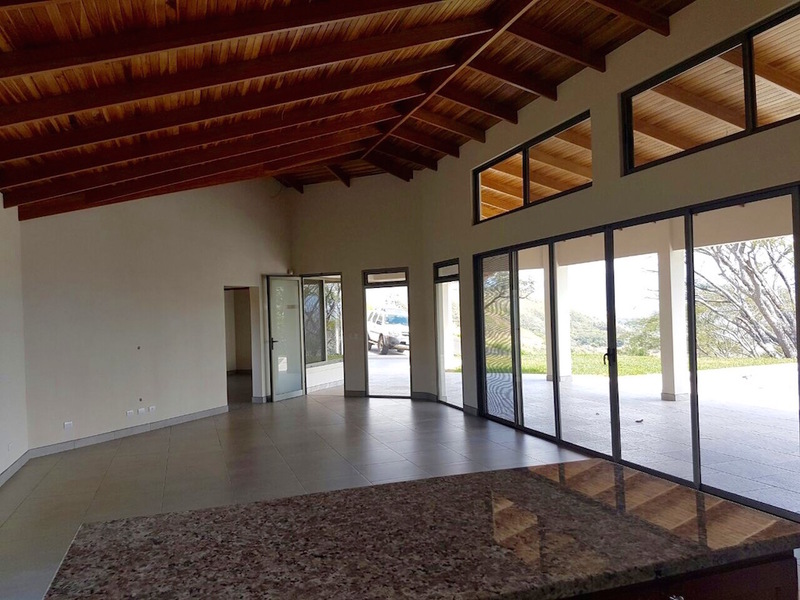 The outdoor spaces are just as impressive as the interior of this home, including an attached porch, salt water infinity edge swimming pool, and detached rancho overlooking the Central Valley, perfect for dining ‘alfresco’. All the finish work in this custom home is high end, top quality. The home is offered turn-key and was professionally decorated with custom furnishings and a full appliance package. A must see for only $475,000.00. Beautiful, well built 3 bedroom, 2.5 bath pool home with spectacular views of the Central Valley and San Jose. This home features large open living spaces, an spacious kitchen with solid wood cabinets, granite countertops, stainless steel appliances, and breakfast nook. Downstairs is a huge master suite with stunning views. Upstairs there is a second maters suite, guest bedroom, and den. The property also features a storage bodega/exercise room, and guest studio, with a bedroom, bathroom, and kitchenette. appliances for only $549,900.00. A must see! 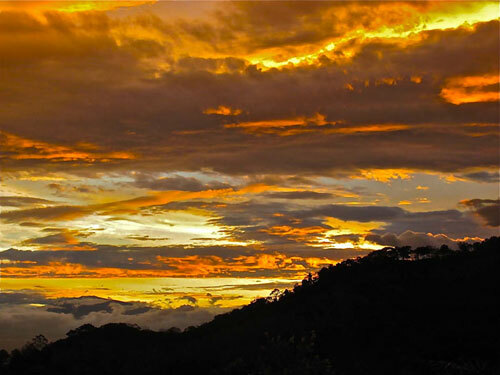 The weather in Costa Rica gets a bad rap in rainy season. Personally, it’s my favorite time of year. But read any traditional tourism report and it will tell you the best time to visit Costa Rica is from December to April when most of the country experiences dry season – except for the Caribbean which has a different climate. Sure, it is hot and sunny and that’s why this time is called “Costa Rican summer”, but it is also dusty, windy, and the landscape burns into brown. Rainy season isn’t called “green season” for nothing. Rain transforms the landscape into vibrant lushness positively bursting with life. From the end of May to mid-December, Costa Rica once again looks like the tourism posters with emerald green countryside and flowing rivers and waterfalls. Let’s get a few things straight. Rarely does it rain all day, every day. Mornings are usually warm and sunny or partly cloudy, and it tends to rain in the afternoon or at night. Or it could reverse and be misty and rainy in the morning, followed by a glorious afternoon and sunset. Like anywhere, different regions have different weather patterns. Many days it doesn’t rain at all. For instance, at the very end of June there is usually a “little summer” called El veranillo de San Juan that lasts from a few days up to two weeks. And the rain helps cool things down to much more moderate temperatures – 70s in the Central Valley and low to mid-80s on the Pacific Coast. 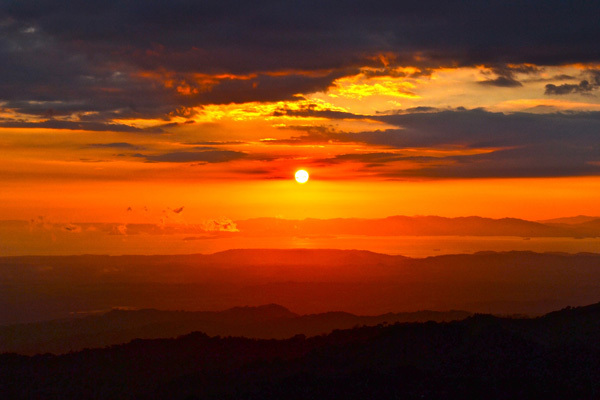 See why visiting and living in Costa Rica during rainy season is pure bliss. 1. Fewer crowds. Nearly 3 million tourists visited Costa Rica in 2016, and most of those came between Christmas and the end of April, escaping winter months in the north. During rainy season, you can have the beaches and rainforest almost all to yourself, especially after everyone goes back to school and work in September. 2. Great deals. Less people visiting in rainy season means you can often save big with great deals on places to stay, tours and even flights. 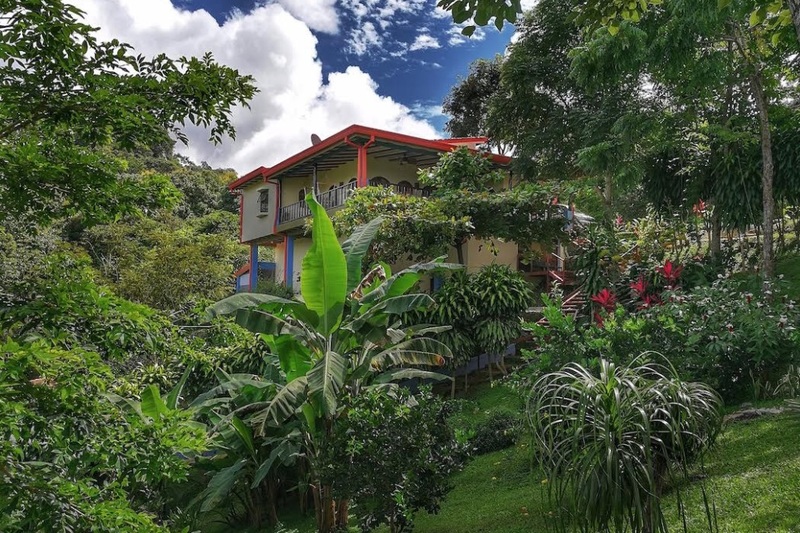 One caveat is that Costa Rican schools let out for a two-week vacation at the beginning of July, and most Ticos from the Central Valley head for the beaches, creating a mini-high season. 3. The weather is great. There is still plenty of sunshine, and the rain cools down temperatures pleasantly. 4. It’s lovely being green. 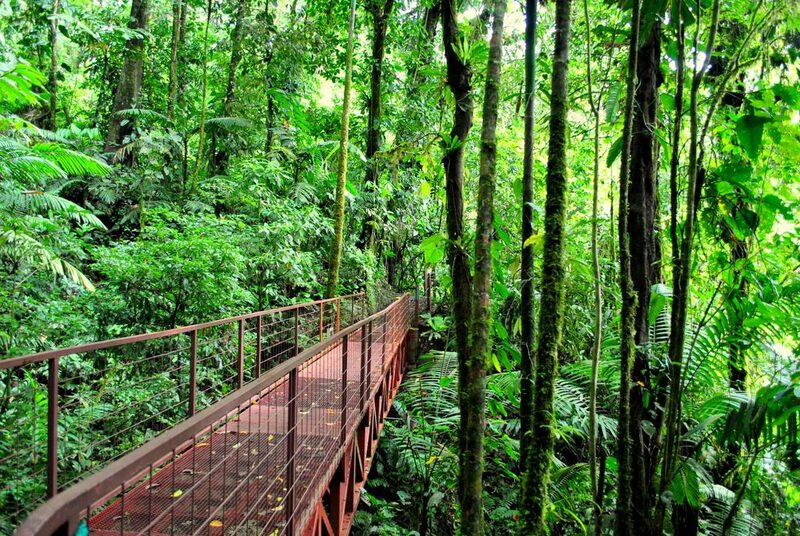 There are more shades of green in Costa Rica rainy season than you can possibly imagine. Plants grow in measurable inches and feet, trees are full and leafy, flowers bloom, grass grows anywhere it can, and clouds intensify stunning sunset colors. 5. Birds, bees and butterflies. They’re everywhere enjoying the bountiful blossoms, fruits and seeds that the rain brings. Get your camera ready! 6. Time to relax. Enjoy the outdoors in the mornings and a cup of rich Costa Rican coffee, a good book and a hammock with a tarp (or a nap!) when it rains. You came to Costa Rica to relax, right? 7. Sea turtle time. July to November are great months to see nesting sea turtles in the Tortuguero National Park on the Caribbean Coast, the Ostional National Wildlife Refuge on the Pacific’s Nicoya Peninsula, and on less traveled beaches along the Central and Southern Pacific Coast. 8. Whale watching. The end of July through the end of September is prime whale-watching season in Costa Rica during humpback whale migration. Best places to go are in the Southern Pacific region at the Ballena Marine National Park by Uvita, and in the gulf of Golfo Dulce by the Osa Peninsula. 9. Adventure tours are more exciting. Lots of water in the rivers creates adrenaline-filled whitewater rafting trips. And canopy zip line tours are more mysterious and gripping as you fly through the trees in the mist after a rain shower. 10. Secret Caribbean Summer. Most people don’t know that during peak rainy season in Costa Rica’s Central Valley and Pacific Coast, it is sunny summertime on the Caribbean Coast. The Caribbean has a completely different climate from the rest of Costa Rica. Most of the year, it maintains its forever-green landscape from regular tropical rain showers. But in September and October, the sun shines brightly over its beautiful gold and black sand beaches and turquoise Caribbean Sea. Favorite Atenas Expat Restaurant Kay’s Refreshes with New Owners. From the new name to the new menu, just about everything at this longtime expat hangout and favorite restaurant in Atenas has a fresh look. Renamed Kay’s Postres Café & Restaurant, the charm of the much-loved café Kay’s Gringo Postres is very much alive. 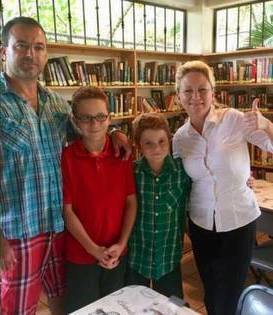 The new owners – a lovely Polish-Canadian family from the Toronto area, Ania and Tom Dudek and their two young sons – are continuing the Kay’s tradition of excellent food and warm, friendly service. Ania, who manages the restaurant, has given the menu a makeover. She has added numerous salads to the lunch menu “for vegetarians and for people to eat healthy,” she said. Since she and Tom emigrated from Poland to Canada as children, Ania added Polish specials to the menu like Polish pancakes, Polish sausages, pierogies and cabbage rolls, most of which are available as daily lunch specials. 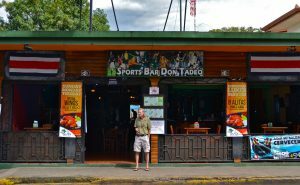 Another change is that menus are now available in English and also in Spanish for Costa Rican clients. “It is very important to us that everyone is welcome to our restaurant,” explained Ania. The 10-year dedicated kitchen and wait staff – Katia and Mercedes – are still bringing their special touches to Kay’s, making the transition easy for the Dudeks. And clubs and groups continue to meet in the cozy dining area, keeping Kay’s informal status as a community center for Atenas expats. “Awesome!! Ania even has me eating veggies she fixes them so good!” wrote one fan on the restaurant’s Facebook page. “I took my two teenagers last week for lunch. I have to say the food was absolutely delicious! And, it was so comfortable and personable there. Ania sat down with us for a bit to chat. You don’t find that kind of warmth and welcoming feeling very much anymore. The kids and I really enjoyed our lunch,” wrote another patron. Founded 10 years ago by U.S. expats Kay and Tom Costello, who have since returned to Arizona, the most recent former owners Lisa and Harold Beasley also returned to Texas for family reasons. The Dudeks first started visiting Costa Rica five years ago, escaping Canada’s harsh winter for their annual family vacation. They moved to Atenas six months ago, jumping on the opportunity to buy the well-known restaurant. They took over in April. Kay’s Postres Café & Restaurant serves breakfast and lunch Tuesday to Sunday from 8:00 a.m. to 5:00 p.m. Their Sunday breakfast buffet from 9:00 a.m. to 12:00 p.m. is legendary, drawing in patrons from nearby towns of Grecia, Palmares and San Ramon. “Kay’s is more than just a restaurant; it’s home away from home. It’s a place where the community meets, enjoys good food (every time), chats, laughs, networks. I’m always touched by the kindness of the lovely staff, Katia & Mercedes and the new owners, who have been pouring their hearts and souls into the business to provide the most enjoyable experience for everyone,” summed up one longtime client on Facebook. 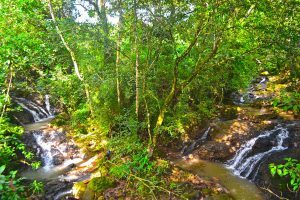 Written By Shannon Farley: Shannon Farley is a travel blog writer for Enchanting Costa Rica and Profimercadeo in Costa Rica. Originally from Southern California, Shannon has lived, worked and traveled all over the world for 20 years; she has been living and working in Costa Rica since 1999. She lives in Atenas, Costa Rica with her husband, 5 dogs and 2 cats. 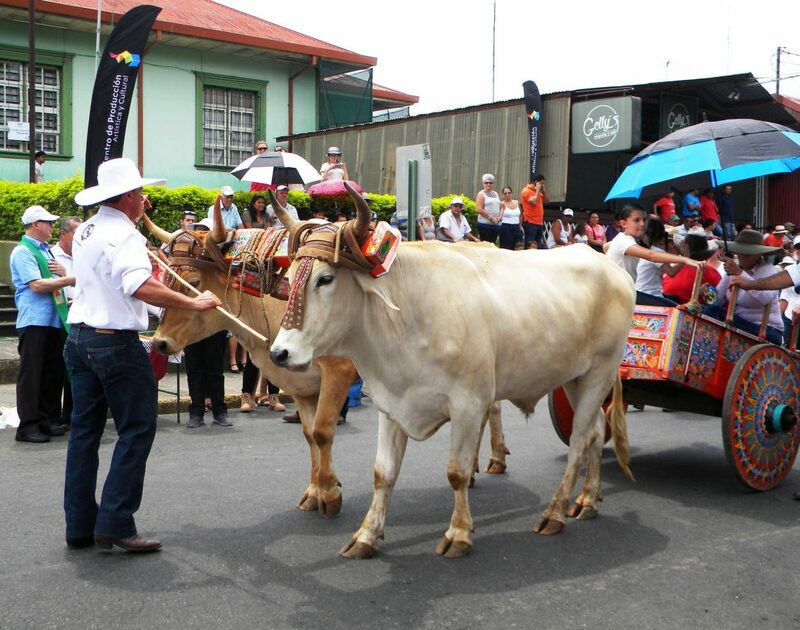 Robust pairs of matching oxen and beautiful, colorful Costa Rican oxcarts paraded through downtown Atenas on Sunday, April 30, 2017 in the 18th annual Atenas Costa Rica Oxcart Parade. The fiesta kicked off with a fantastic folkloric dance group from Ciudad Colon performing several historic dances. 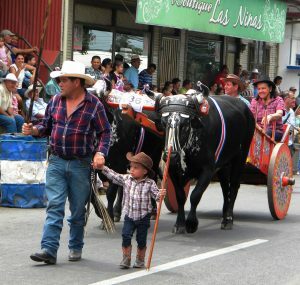 The traditional event is held every year in April, organized by the Atenas Oxcart Drivers’ Association (Asociacion Cuna del Boyero Ateniense), and culminates the annual weekend-long Atenas Climate Fair that is sponsored by the Municipality of Atenas and the Atenas Chamber of Tourism and Commerce (CATUCA). 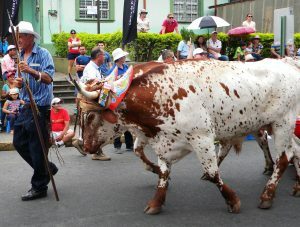 This year around 65 men and women oxcart drivers (boyeros and boyeras) from all over Costa Rica participated – spanning ages from 4 to 84! 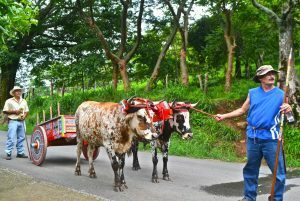 Most of their perfectly matched teams of oxen, some weighing in at over 850 kilos each, pulled wooden oxcarts of all kinds. Many pairs were still young bulls “in training” and were led tied side by side. Two teams of goats even made an appearance! All were blessed by the local parish priest with a splashing of holy water as they passed. 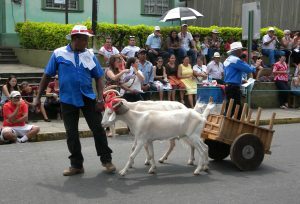 The best part was seeing how many young boys and girls are carrying on Costa Rica’s rich tradition of oxcarts. 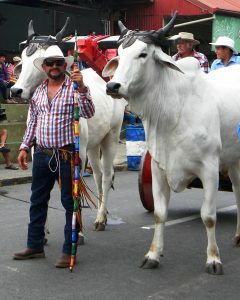 The oxcart driver with his oxen and colorfully-painted wooden oxcart and oxen yoke are some of the most emblematic national symbols of Costa Rican culture. 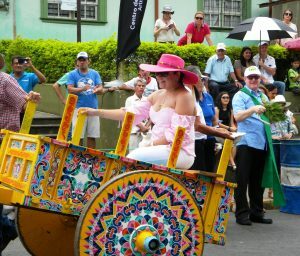 So much so that UNESCO (United Nations Educational, Scientific and Cultural Organization) in 2005 proclaimed Costa Rica’s traditional oxcarts to be an Intangible World Cultural Heritage. 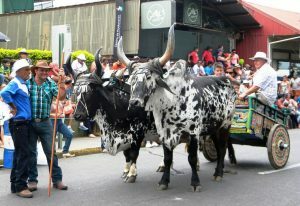 Atenas has a long history with oxcarts. 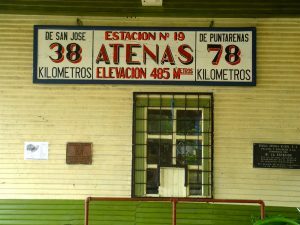 Located on the old main oxcart route from Costa Rica’s capital city of San Jose to the Pacific Coast, the town of Atenas was the central meeting point for traders coming from both points to sell their goods. Atenas’ oxcart history is immortalized in the famous Oxcart Monument in town by sculptor Manuel “Manolo” Torrecillas Lopez. 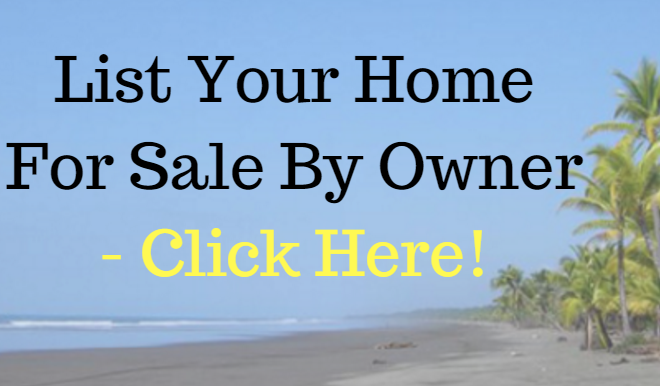 Atenas, Costa Rica is a popular place for expats seeking international living. 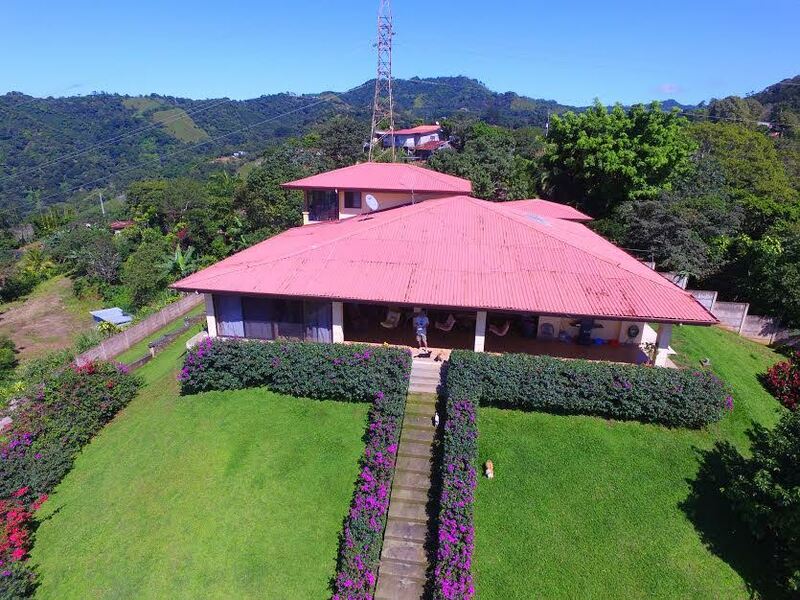 Find out about real estate in Atenas, Costa Rica with realtors Dennis Easters and Gerardo Gonzalez-Porras of Pure Life Development of Atenas. Breakfast, as they say, is the most important meal of the day, and in our small country town of Atenas, Costa Rica there are several great breakfast spots to enjoy. Thanks to its convenient location mid-way between the Pacific Coast and capital of San Jose, and its renown as “The Best Climate in the World”, Atenas has attracted a large expat population of about 1,500 foreign residents who live here full-time. This influx of people from all over the world has influenced the restaurant scene such that you can have German pastries for breakfast, or a real American breakfast buffet, or traditional Costa Rican fare. Start your day off right at these three top breakfast spots in Atenas. 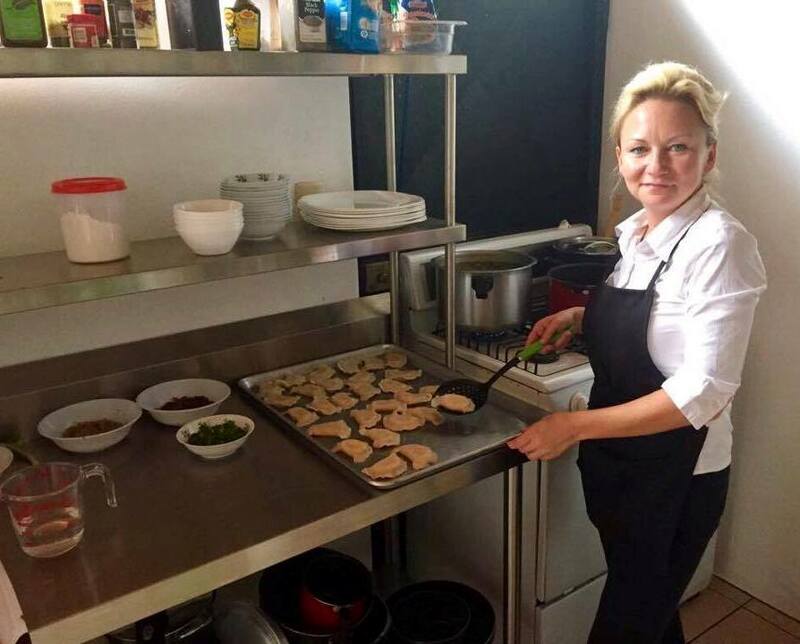 The charming proprietress of Balcon del Café in Atenas is Melani Leaseur of Germany, whose magic touch with pastries, breads and everything else in the kitchen have made this wonderful café a very popular place. Open for breakfast, lunch and afternoon coffee, Balcon del Café also features pastries, desserts, quiches, breads and German delicatessen items (German sausages, pâté, sauerkraut, etc.) to take home. Décor in a beautifully renovated traditional wooden house is artsy and cozy, and there is indoor and outdoor seating. For breakfast, you can choose the American (eggs, bacon or ham, fruit, and Ciabatta or wheat toast), the German (cold smoked ham, Swiss cheese, eggs, and potato nut bread), the Costa Rican (gallo pinto rice and beans, eggs, sour cream, farmer’s cheese, and corn tortillas), or the Sport (yogurt, fruit and granola). All come with Atenas’ own homegrown coffee, or tea, and orange juice. Prices range from 3,500 to 4,000 colones (about $6 to $7) plus tax and service. Or you can order a homemade mini-quiche or pastry for a dollar or two. The best part: breakfast is available all day! Location: On Route 3, 350 meters east of the CoopeAtenas gas station. Hours: 8:00 a.m. – 6:00 p.m. Monday to Saturday; (506) 2446-8592. For over 12 years, Kay’s Gringo Postres has been one of the most popular expat hangouts in Atenas. It started as a small bakery – hence the name Postres, which means desserts – and has grown to be a breakfast and lunch café, community center, lending library, and meeting place for clubs and groups. Originally opened in 2004 by U.S. expats Kay and Tom Costello, the café carries on the tradition of American-style breakfasts, lunches, and desserts. New owners as of April 2017, Ania and Tom Dudek, are adding in a few European delicacies too. Well-located in the center of Atenas next to the public health clinic and the Red Cross, Kay’s Gringo Postres is especially known for its Sunday brunch. For about $12, you can enjoy a sumptuous breakfast buffet. On other days, you can get a classic American breakfast of eggs, bacon or sausage or ham, breakfast potatoes or gallo pinto, and wheat or white toast, for about $7.50; or an omelet with breakfast potatoes or gallo pinto and toast for the same price; plus other specialties and baked goods. Location: On the west side of the public health clinic and Red Cross in Atenas. Hours: 8:00 a.m. – 5:00 p.m.; closed on Mondays; (506) 2446-0664. For a traditional Costa Rican breakfast and one of the most astounding views in town, you want to go to La Casita del Café. Here on Route 3 at the western edge of Atenas, the verdant mountains covered with green coffee bushes and dotted with white Brahman cows, drop away steeply to reveal the dramatic Pacific Coastline, blue ocean and distant Nicoya Peninsula. You definitely want to sit at the open-air bar counter lining the “back” of the restaurant to gaze at the view while you eat. “The best place to go for breakfast. It has an incredible view of the mountains and the Pacific Ocean. The food is very good and they have great coffees,” wrote one fan on the restaurant’s Facebook page. Open daily for breakfast, lunch and afternoon coffee, La Casita del Café serves all traditional Costa Rican cuisine. The restaurant is especially popular for breakfast on the weekends, so get there early! 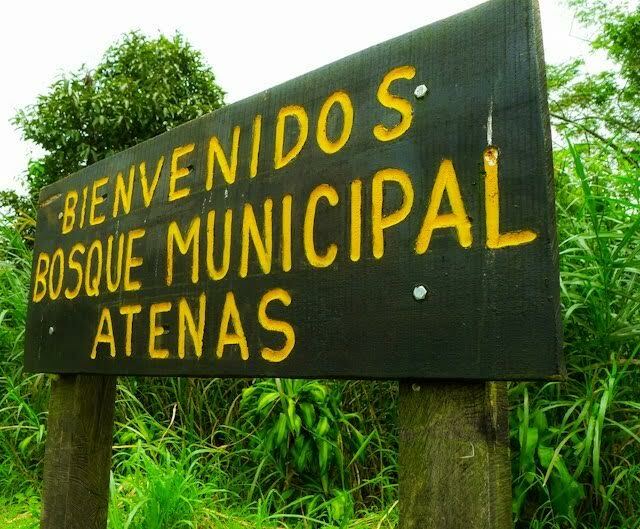 Location: On Route 3 in Monte del Aguacate, Atenas, just past the neighborhood of Estanquillos. Hours: 7:00 a.m. – 6:00 p.m. daily; (506) 2446-7537. Costa Rica is full of life… and, yes, that includes bugs! 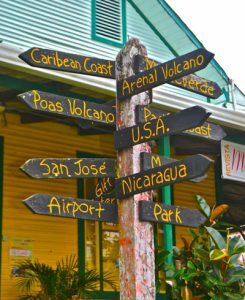 Unfortunately, this kind of situation arises more often than you might think when tourists or potential new residents have no clue about where they’re going in Costa Rica. Costa Rica is full of life. Think of the popular Costa Rican saying: Pura vida! Pure life. That’s because there’s a lot of it here. 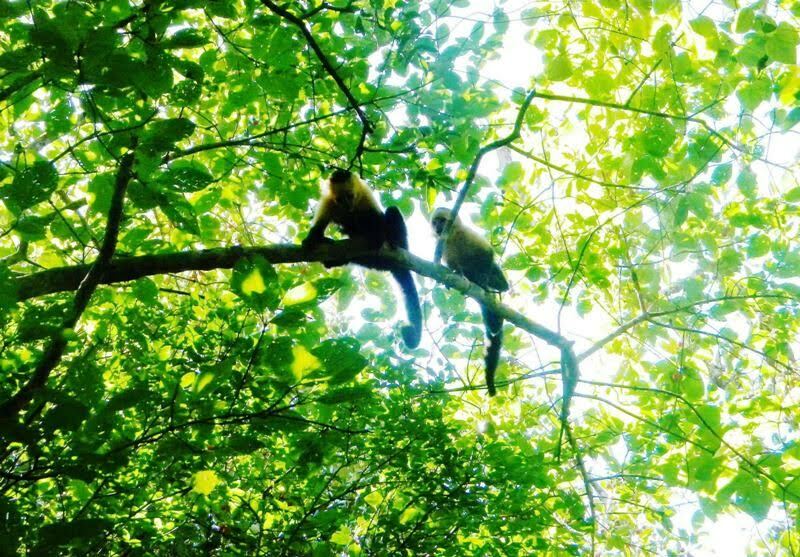 Located firmly in the tropics, Costa Rica is home to more than 500,000 species of animals, which represents nearly 4% of the total species estimated worldwide. 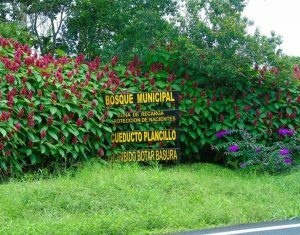 That makes Costa Rica one of the 20 countries with the highest biodiversity in the world, according to the National Institute of Biodiversity in Costa Rica (INBio). There are cute furry sloths, brilliantly hued Scarlet Macaws and toucans, playful dolphins and sea turtles, funky looking tapirs, mischievous monkeys … and lots and lots of bugs. 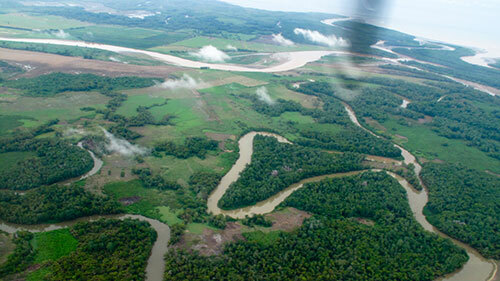 Of the 500,000 species in Costa Rica, INBio calculates that a little more than 300,000 are insects. Costa Rica is so full of bugs that the sheer quantity far outnumbers the human population, a little less than 5 million. It’s probably safe to say that the bugs were here first, and most likely are here to stay. 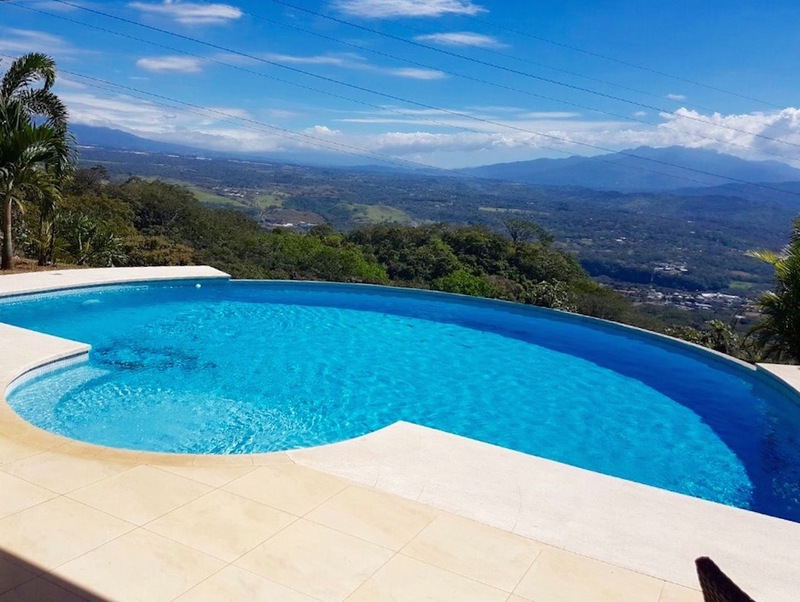 So, if you’re going to be in Costa Rica, it’s best to get used to them. But it’s not all bad news and creepy crawlies. 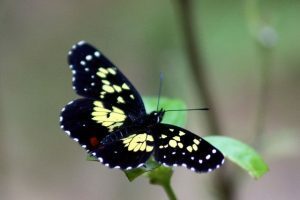 Costa Rica has about 1,251 species of butterflies – apparently more than on the entire continent of Africa – and at least 8,000 species of moths, reports INBio. You should note that arachnids – spiders, scorpions, ticks, mites, etc. – are not insects, although most people call them bugs all the same. Think of it this way: bugs are an important part of the circle of life. All of those beautiful insect-eating birds in Costa Rica need to eat, along with the incredible frogs, lizards, and very cool anteaters and armadillos, to name a few. 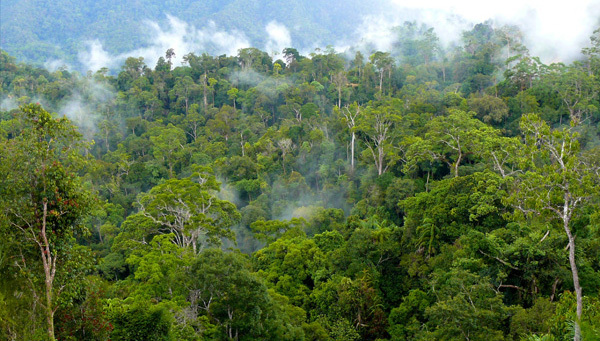 In turn, rainforest insects help eat plants and fungi, break down dead and decaying matter, and aerate the soil. 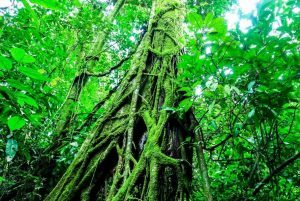 One of the good things about Costa Rica is that it is acknowledged globally for protecting its biodiversity through a network of protected areas that cover more than 25% of its land and sea territory. When you visit Costa Rica, the insects you’ll most likely be in contact with are ants, mosquitoes, flies, beetles, and hopefully a lot of butterflies. Here are some tips on how to make your life easier in the world of insects that is Costa Rica. Keep unscreened doors and windows closed at night, starting at sunset, when insects are more likely to come inside because they are attracted by lights. Use insect repellent to prevent mosquito and other insect bites. Aloe vera gel (or straight from the plant) on insect bites will not only take the itch away, it will reduce swelling and make the bite heal faster. If you find there are a lot of mosquitoes or other winged bugs around your dwelling during the day, keep unscreened doors and windows closed. Do NOT EVER leave out food, opened packages of food, or sweet drinks unattended on a kitchen counter or table or in a cupboard. You will quickly find an army of ants or winged insects have invaded to eat what you left out or opened. In the tropics, you have to protect all food in sealed containers, Ziploc bags, or in the refrigerator. The same thing applies to spills of food or drinks, sticky fingerprints, etc. ; better to clean it up quickly than deal with the bugs. Geckos are your friends. Let those cute gravity-defying lizards run all over your dwelling, and be thankful they are helping to eat pesky bugs. Trust me; they won’t bother you at all. Costa Rica may have arachnids like scorpions and tarantulas, but none of them are deadly to humans. Check closed shoes before putting them on, especially if left outside. Just hold each shoe upright, tap the heel on the ground a few times, and then tap upside down to shake out any unwanted critter that might have sought refuge there. When the rains start in Costa Rica at the end of dry season (end of April – early May), this new rush of water into the earth hatches all kinds of insects in great numbers. 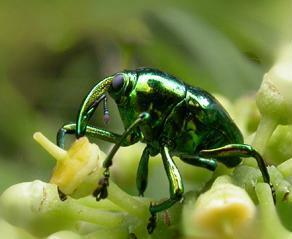 Expect tons of flying beetles, winged termites, grasshoppers, and hosts of other bugs. This period usually lasts a few weeks. 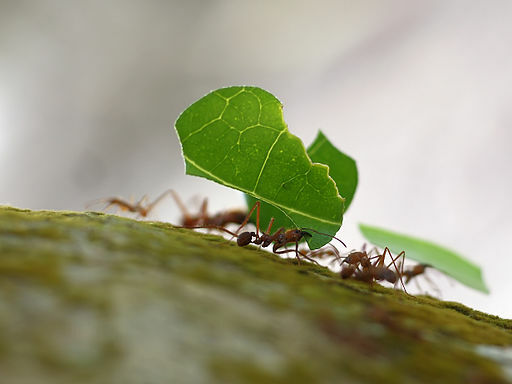 While it might be a nuisance to humans, the huge number of insects flooding the air and land are actually a bountiful and necessary food feast to all of the baby birds and other animals also being born in spring. Rain showers grow flowers which bring bunches of butterflies – many insects can be beautiful! Moving to a foreign country in one’s retirement years is counterintuitive. Retirement is a time to seek the security of immediate health care and the proximity of family. While my cousins were buying houses near their grandchildren in communities designed for health emergencies, I was foregoing Medicare Plan B and entering into Costa Rica’s CAJA maze, acting as if I would live forever. 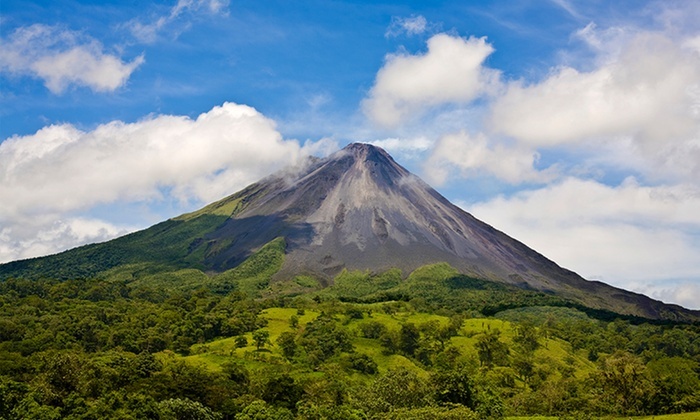 Although it does not possess a fountain of youth, Costa Rica promotes living well and long. The country has one of Earth’s five Blue Zones, the Nicoya Peninsula, where centenarians outlive the rest of the planet. Remaining active, they succumb to old age rather than to obesity, heart disease, cancer and diabetes, subsisting largely on rice and beans, corn tortillas, cheese, eggs, and lots of fruit. Most of their diet comes from plants and from carbohydrates derived from whole grains, beans, and tubers like yucca. My goal in retiring in Costa Rica was not to outlive Betty White or to idle away my days in Nicoya while munching on mangoes. I wanted to tap into some of the Tico characteristics that appear to increase longevity, mainly happiness and serenity. It became important as I entered into the twilight years to seek what makes human life meaningful, exploring answers through the eyes of a different culture and people. Doña Romelia, a centenarian living in my town of Atenas, turned 103 on February 14, 2017. Although she is not from the Blue Zone, like many Costa Ricans, she has lived a long and healthy life. Doña Romelia attributes her longevity to healthy living, a deep and abiding faith, and a good heart. Many immigrants like me can attest to the Tico good heart that goes beyond having a healthy ticker. Here, a corazon bueno is nurtured by growing up in close proximity of extended family. A genuine concern for one another radiates out beyond one’s family to consider the needs of others. As a result, the most vulnerable, the very young and the old are revered in Costa Rica. 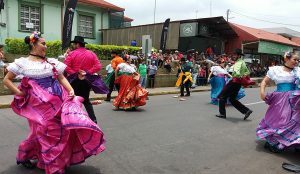 The preference given to the elderly, pregnant or disabled in bank lines; the greeting by each person you pass on a walk in Atenas – all speak to the good heart of Costa Ricans. I have never had to stand on a bus, no matter how crowded; and I have been welcomed as a full family member inside two Tico families. 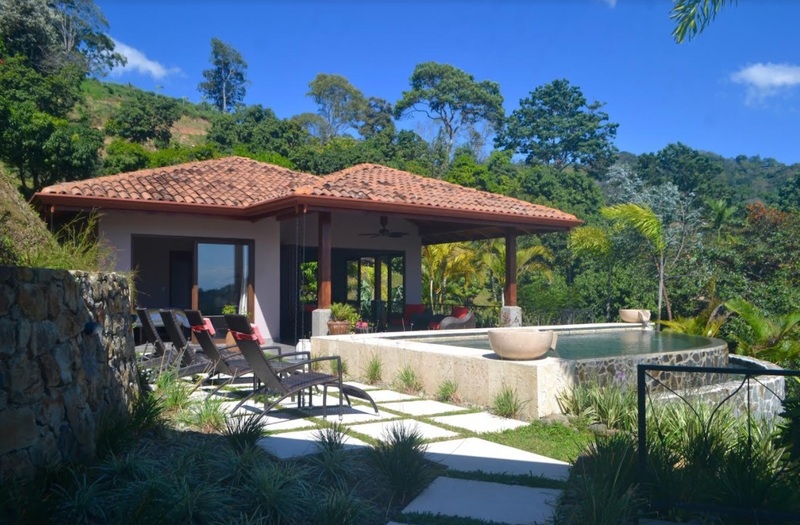 • Don’t believe everything you read in the glossy magazines containing surveys that declare Costa Rica as the best retirement destination and the happiest place on Earth. 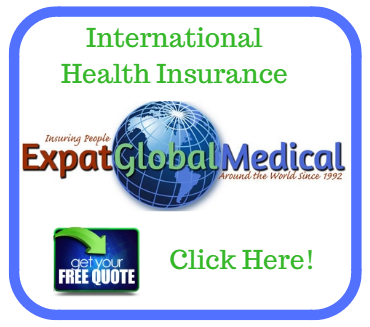 • Your life will change drastically, requiring that you adapt to Costa Rica. Do not expect the country to adapt to you. • Survival is easier if you alter your diet, sleeping and rising, pace, and expectations. • A sense of humor, an adventurous spirit, good manners, curiosity, and above all, attempting to speak Spanish is requisite. Here’s the reality of moving to a foreign country for seniors: unless you isolate yourself, you will find camaraderie and friends to assist in times of emergencies as you, in turn, will help them. If you can learn from your host country how to release fears about the future and live in the moment, you will experience tranquilidad (tranquility) … at first in moments, then for hours and ultimately for days. Perhaps that is the gist of living well and long in Costa Rica, apparently a dying art in some other countries. Here, as the proverb goes: Hay que escuchar a la cabeza, pero dejar hablar al corazón. In other words, in order to live well, no matter where you live, you have to listen to the head, but let the heart speak. This time of year, while spring arrives in North America, Costa Rica revels in the full height of its “summer” dry season. Much of the landscape has dried into browns and yellows, missing the green season rains. 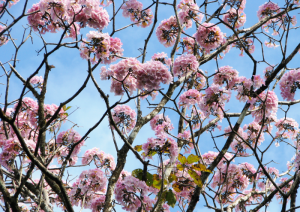 But March and April bring bright spring blossoms painting Costa Rica’s vistas with vivid hues. 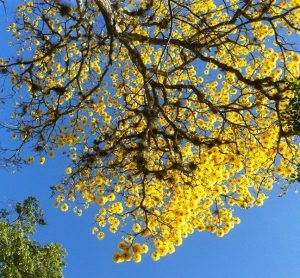 These once-a-year bursts of color from Costa Rican trees rival any northern spring bloom and take your breath away with their beauty. They are easy to spot. 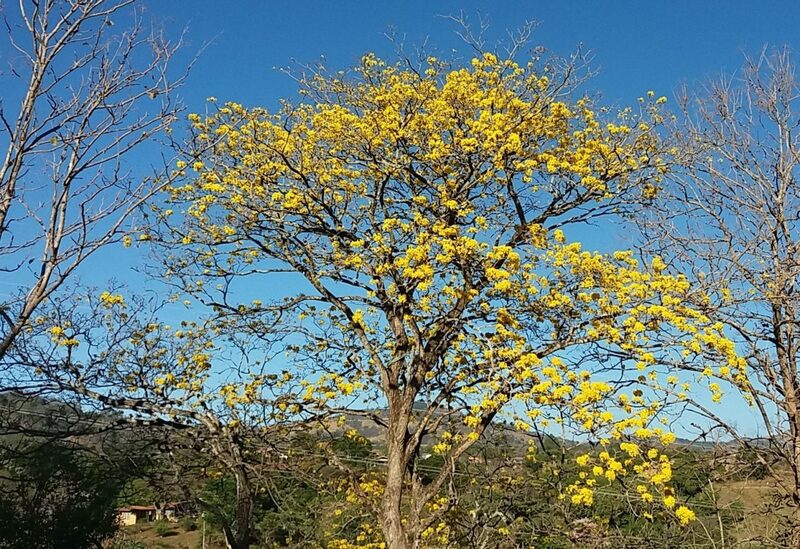 Many roadways, public parks, fields, and private gardens are decorated with these very popular trees – favorites in the hearts of Costa Ricans. 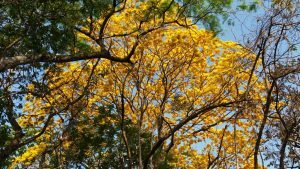 You’ll see the impossibly electric yellow blossoms of the Corteza Amarilla or Tabebuia ochracea tree. During its bloom, the leaves fall and only flowers remain. When the sun hits these golden crowns, you almost need sunglasses for the glow! 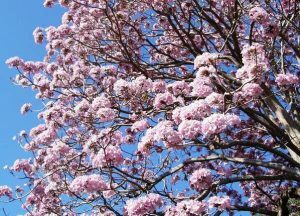 The Tabebuia rosea, known locally as Roble Sabana, and also called rosy trumpet tree, explodes with blushing pink bouquets as magnificent as any cherry tree. And it’s hard to miss the fiery orange flowers of blooming Poró Gigante or Erythrina poeppigiana trees. These large trees are commonly planted in coffee fields for shade. When traveling around Costa Rica in dry season, enjoy these cheery displays of spring. But be quick with your photos – blossoms only last a few days before carpeting the ground with color. The saving grace is that trees may blossom two or three times during the season.